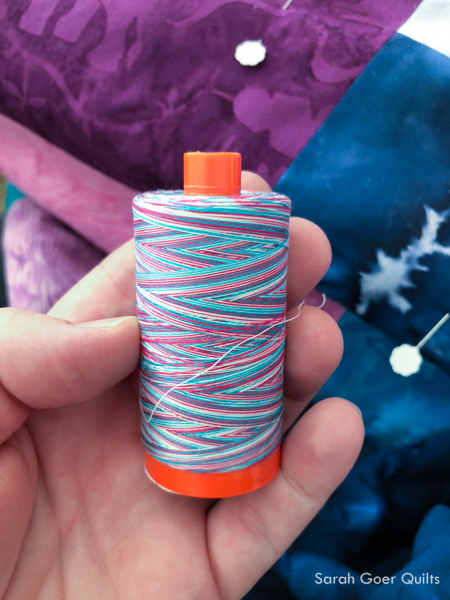 The products featured in this post were given to me by Island Batik, including Aurifil thread. 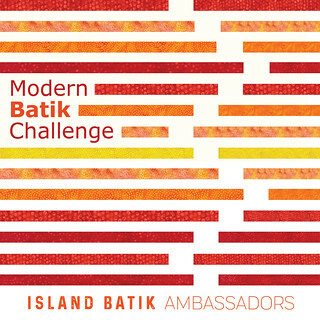 This month's Island Batik challenge was to go modern. I thought it was the perfect opportunity to play with my Planned Improv: Scrappy Squares technique in a larger scale. The Planned Improv: Scrappy Squares technique revolves around starting with squares and designing the layout before cutting background pieces. It's a bit of a puzzle. This one was more complicated than normal and I painted myself into a bit of a corner. No worries! I was able to finish piecing it with a series of partial seams. This was my final seam of the quilt top -- the little partial seam right in the middle! Once it was all together I had to contemplate quilting motifs. 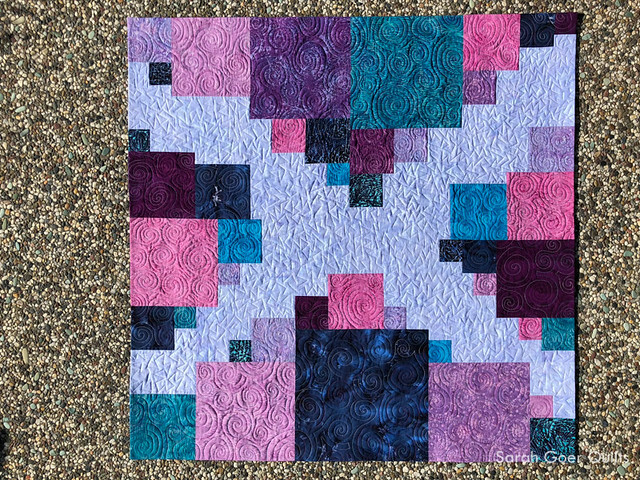 I chose Aurifil 50wt Light Lilac (#2510) for the background and Berrylicious Variegated (#4647) for the squares. First I did some walking foot quilting to stitch in the ditch quilting in Light Lilac along the perimeter of the sections of squares. Then I did a jagged stipple in Light Lilac all over the background. 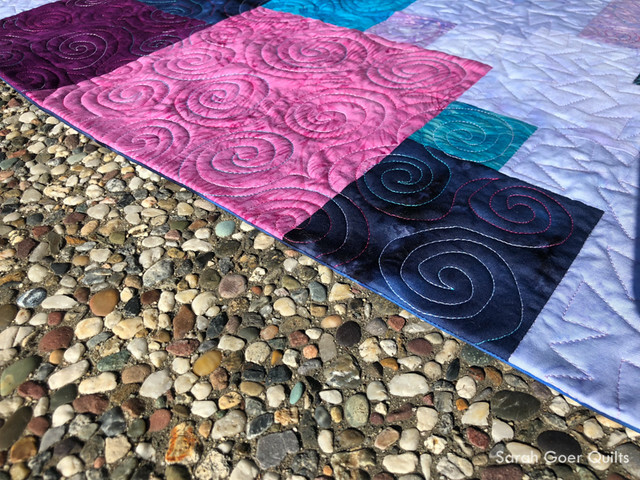 Finally, I finished up by quilting Berrylicious spirals throughout the square sections. The hot pink, turquoise, and white was the perfect companion to my palette! 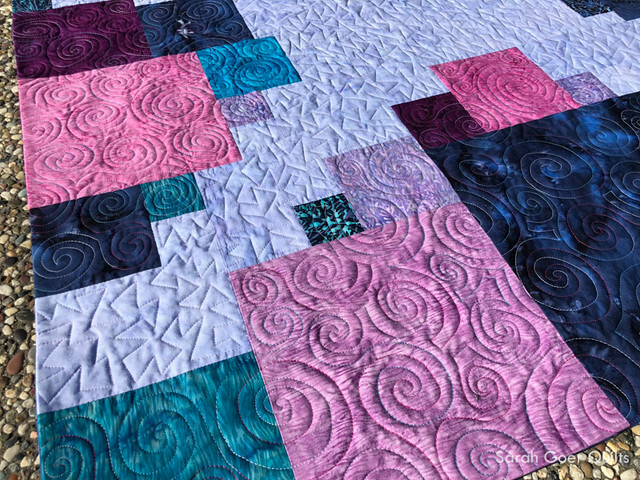 I chose a curvy motif to contrast the jagged quilting in the background. I finished the quilt with a faced binding. 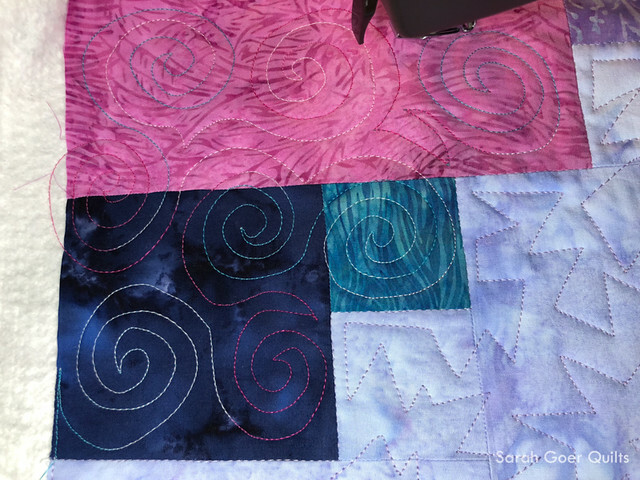 I love how the squares and the quilting float all the way to the edge of the quilt. The quilt finished at approximately 40" x 40". 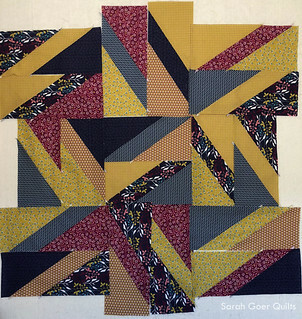 The batting is Quilter's Dream Cotton Select. Thank you for visiting to see my Island Batik Modern Batik baby quilt! I'm linking up to TGIFF and Needle and Thread Thursday. Posted in Quilting. 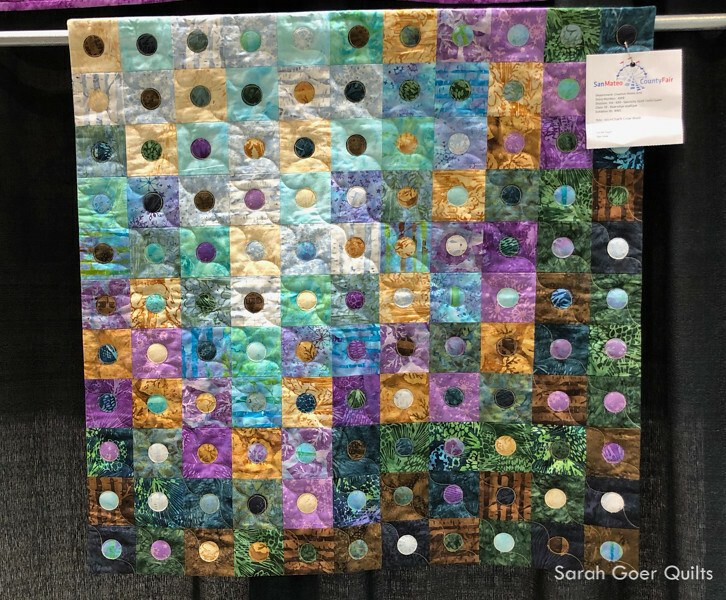 Tags: Aurifil Artisan, baby quilt, finished quilt, Island Batik, Island Batik Ambassador, planned improv, scrappy squares on June 29, 2018 by sarah. At Spring Quilt Market I connected with the designers at Sweet Bee Designs. 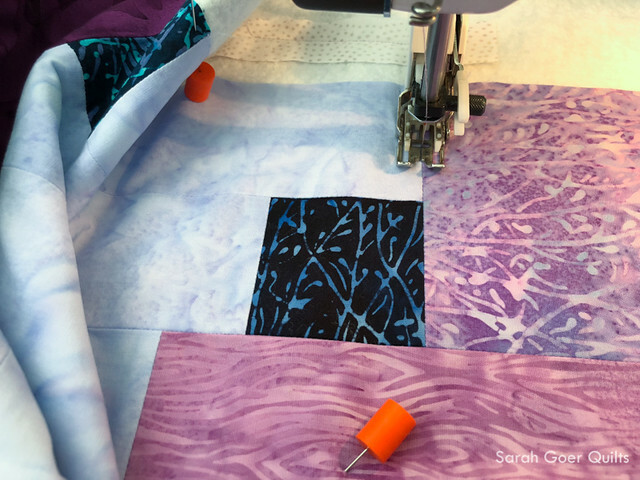 This resulted in Lizzie Clark reaching out to invite me to participate in the Blog Hop for the release of her new fabric line, Wonder Full. It’s a lovely floral line with rich jewel tones and pretty pinks. 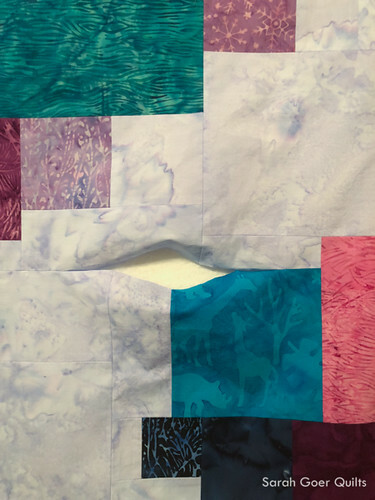 I'm happy to be sharing two quilt tops with you. The first thing I noticed when I received the bundle was how much I enjoyed the seven monochromatic pinks together. 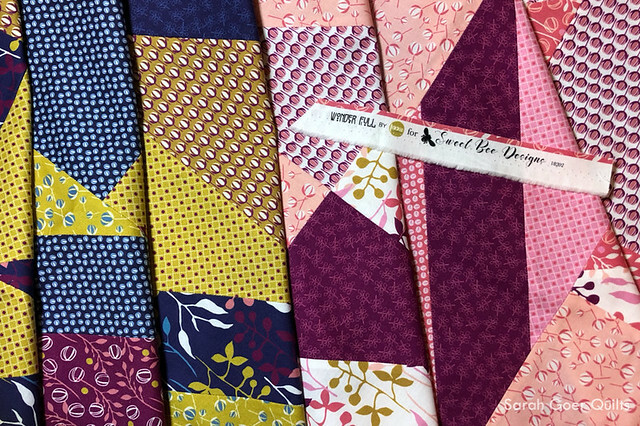 When I pulled those aside, what remained was the rich jewel tones: the navy/magenta/olive set of fabrics I used for my first quilt top. In each project I chose a variation of my Planned Improv: All About Angles technique. This is a little more structured than my previous pieces as I altered the technique a bit to be more friendly for using one-sided fabric. Once I created the units, I used my design wall to audition layouts. I initially planned for a straight layout, but thought a vertical shift in every other column would be interesting. Then I tried a couple with the blocks placed in alternating directions. In the end, I really liked the vertical shift layout and also the nine-patch design. 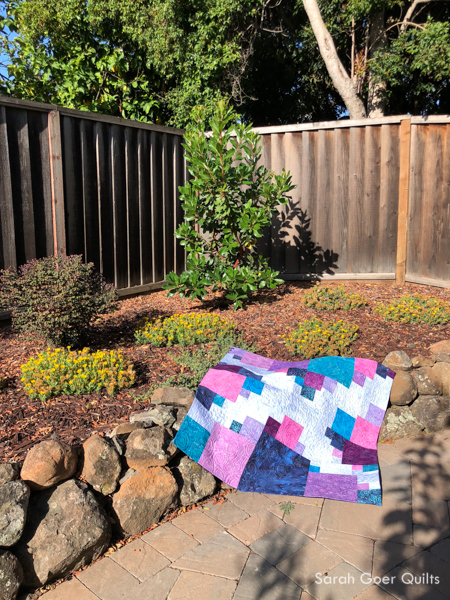 I stuck with the vertical shift layout for this first quilt top, which finished at approximately 41" x 46". Then I used the pinks to whip up a second quilt top. I love that these two projects show the versatility of the initial units. They original units were identically pieced. They vary in placement and the pink sections were trimmed down. This project is 35" x 35". Thank you for visiting! I’ll update the list of participants with links to their blog posts as they are available . You can also check back on Lizzie’s kickoff post. 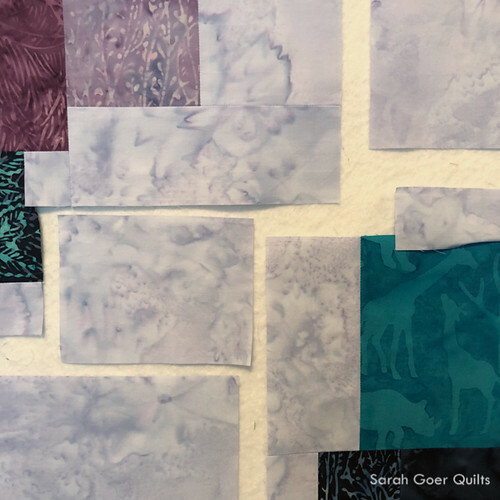 6/25 Sarah Goer at Sarah Goer Quilts - you are here! Posted in Quilting. 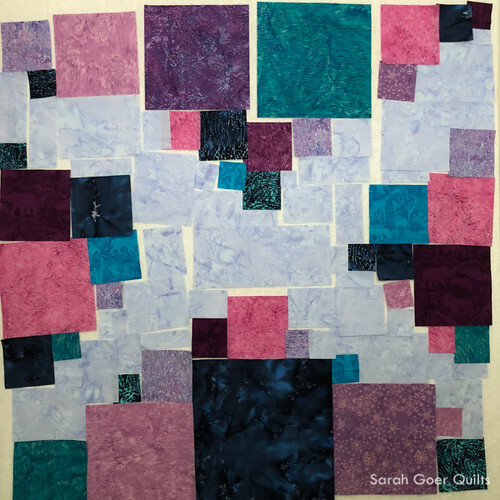 Tags: all about angles, blog hop, planned improv, quilt top, Wonder Full fabric on June 25, 2018 by sarah. 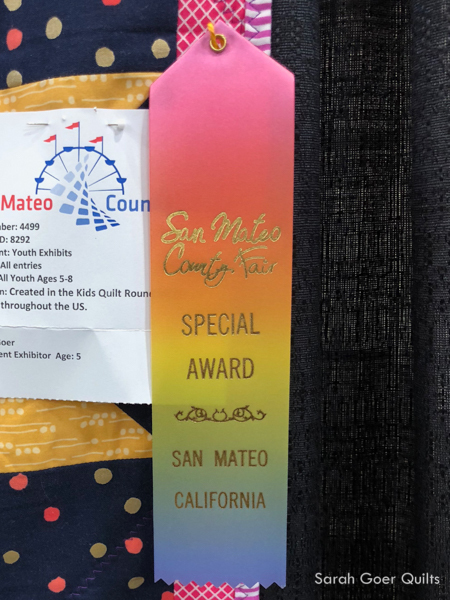 For the first time, my kids and I submitted quilts to the San Mateo County Fair, which ran June 9-17, 2018. The Creative Home Arts exhibit hung nearly 400 quilts and the Youth division had a few more. An air conditioned building with over 400 quilts!? Why haven't I been coming for years? 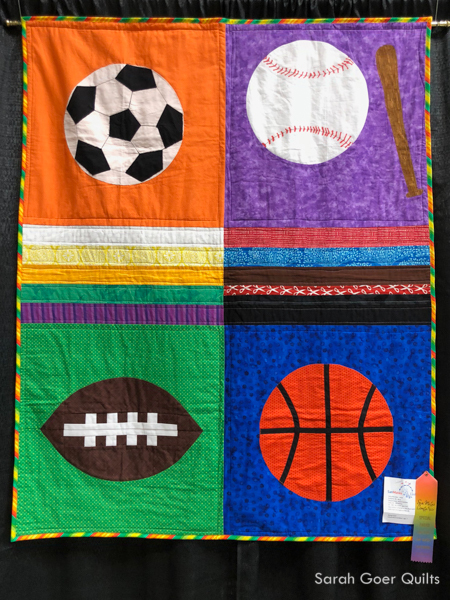 My kids each submitted their Kids Quilt Round Robin quilts: R's animal themed quilt, My Animal Quilt, and G's sports themed quilt, My Sports Quilt. 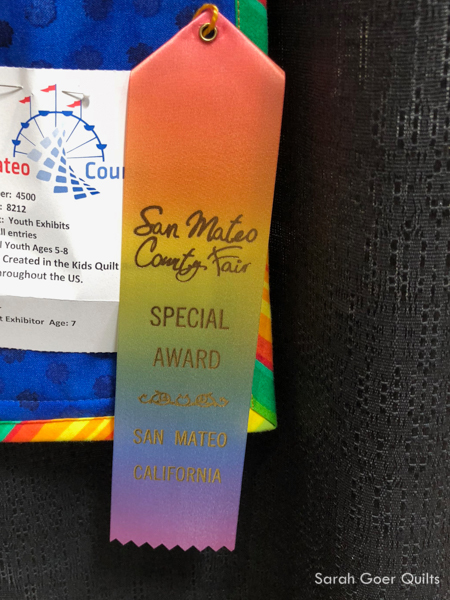 Since they were both in the age 5-8 category, each of their quilts received a special award ribbon. 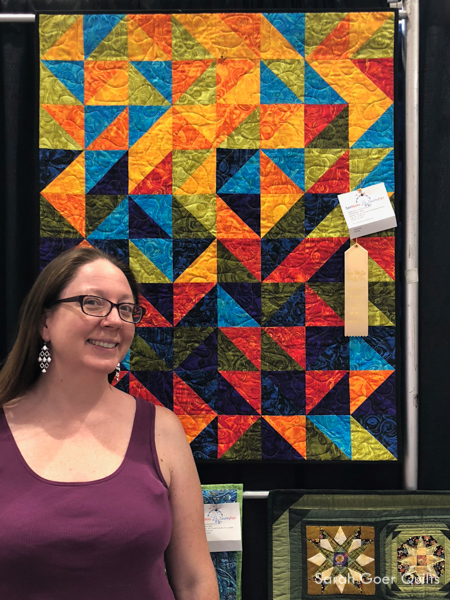 I submitted five quilts, and two of mine won ribbons! 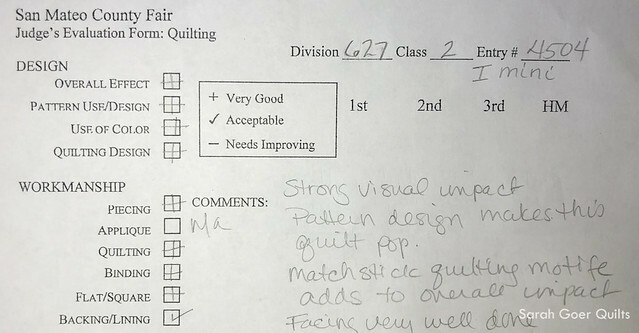 I thought readers might find it interesting to view the feedback I received from the judges, so I have included photos of my judge's evaluation forms (omitting the judge's name and scribe's name for anonymity). Judging occurred on June 1, 2018. I've also typed the comments below the photo of the form to make them easier to read. 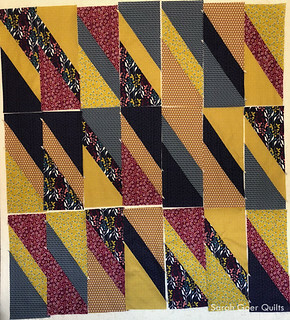 The first two were mini quilts in the Modern Quilt division: i Mini and Not So Mellow Yellow. 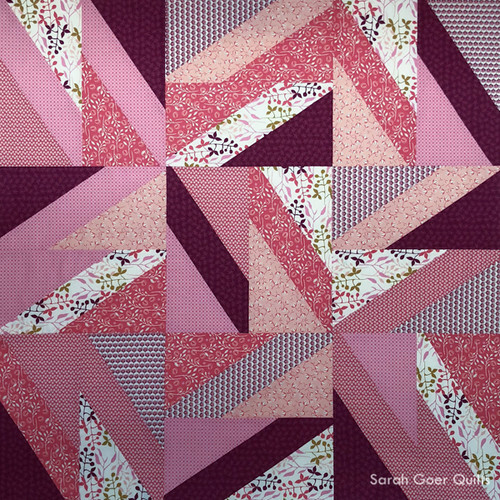 I am really proud of i Mini which I made for issue 3 of Curated Quilts. Not So Mellow Yellow was created for the Mellow Yellow Project Quilting challenge and I included it because of my scrappy binding. "Strong visual impact. Pattern design makes this quilt pop. 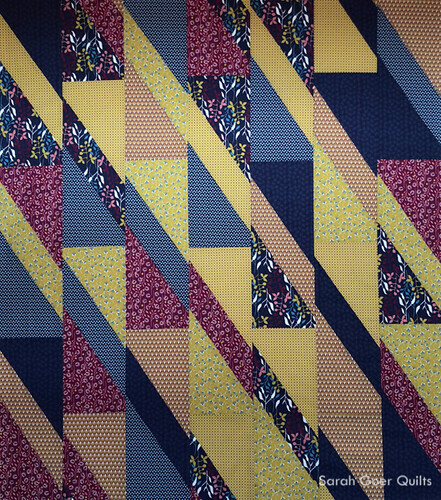 Matchstick quilting motif adds to overall impact. Facing very well done." 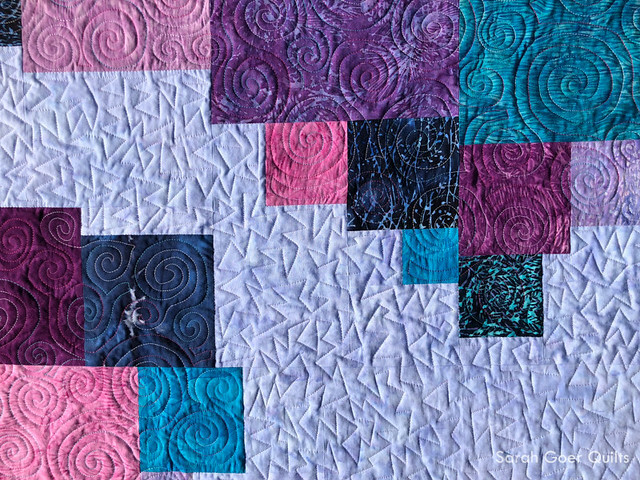 "Use of color in this quilt enhances the overall effect. Strive for accuracy in piecing. 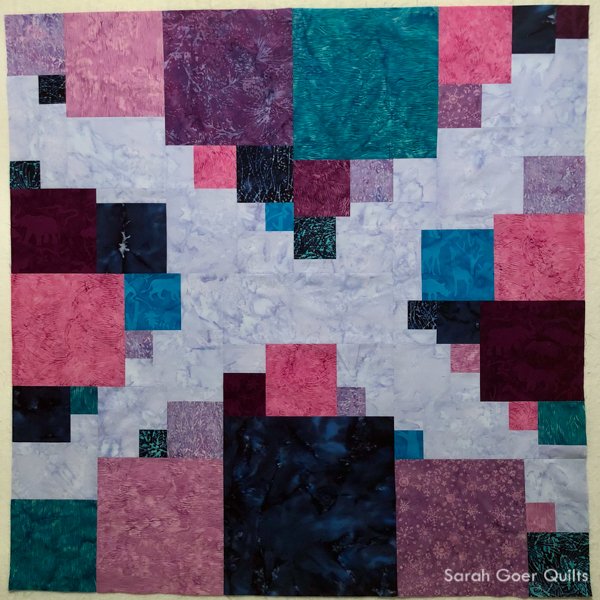 Improv piecing adds visual interest. Pieced binding well done." "Well done! This quilt is beautiful. 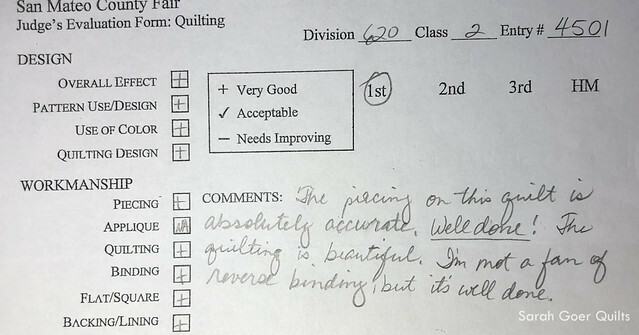 Piecing is precise, quilting is beautiful, and thank you for paying attention to arranging your fabric composition by perfect value. It paints a beautiful portrait." 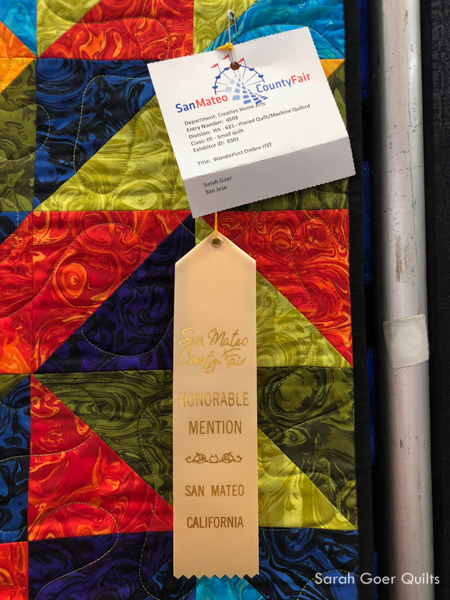 My Wonderlust Ombre HST received Honorable Mention in the small quilts class of Pieced Quilt/Machine Quilted. This pattern is based on my popular Ombre HST tutorial, originally designed with solids in mind. I like how I was able to use prints (well, blenders) to achieve the ombre look by considering their values. "Rich use of color. Placement of light and dark fabrics creates intriguing composition. 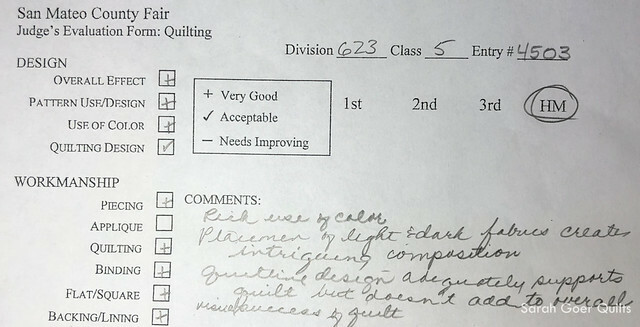 Quilting design adequately supports quilt but doesn't add to overall visual success of quilt." In the division for Quilt Top Made by One Person/Professionally Quilted by Another my Meadow Mystery quilt won first place in the large quilt class. 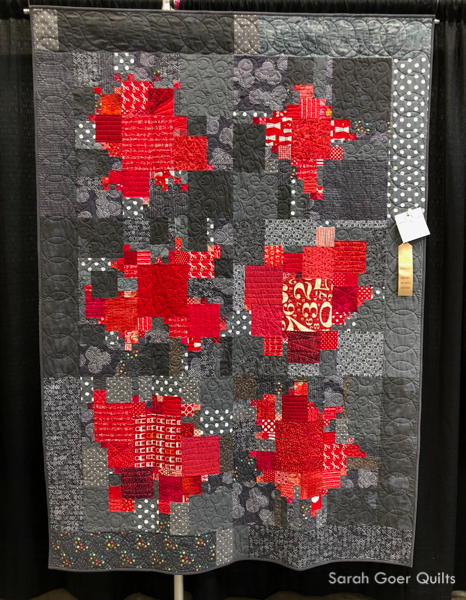 This was a mystery quilt designed by Cheryl of Meadow Mist designs. The pattern called for four colors. I'm most proud of my fabric choices, all pulled from my stash and scrappy within each color. Tami of The Quilted Lemon quilted it with Modern Curves. It's such a happy quilt and it reminds me of the Marin retreat I was on with SCVQA while I finished piecing the top. :-) I love how projects can bring you back to a time and place. 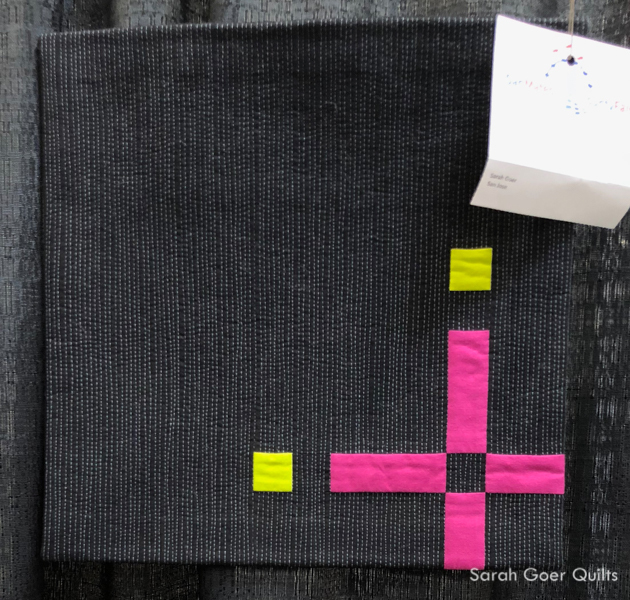 "The piecing on this quilt is absolutely accurate. Well done! The quilting is beautiful. I'm not a fan of reverse binding, but it's well done." It was so nice to view the show. 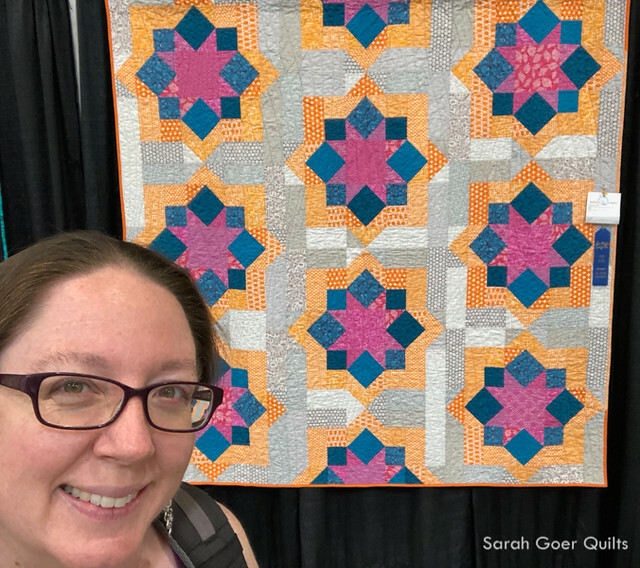 I enjoyed seeing so many quilts made by friends and guild-mates. Here are a few! 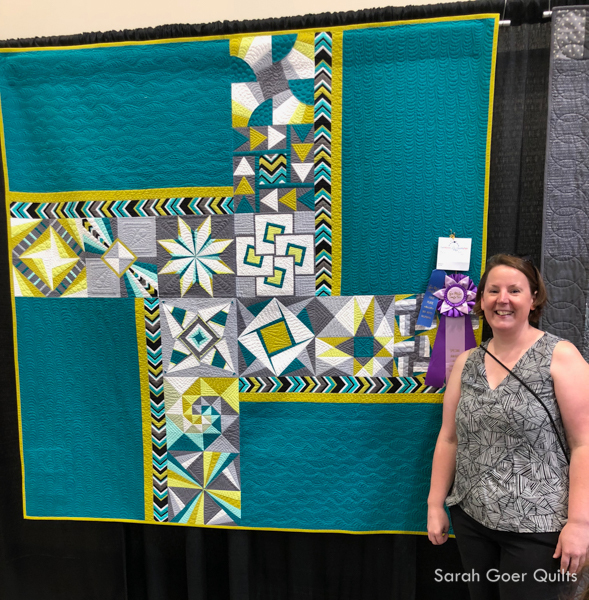 Mel Beach's Spinning Stars won first place in Large/XL Modern Quilts as well as Best Modern Quilt. 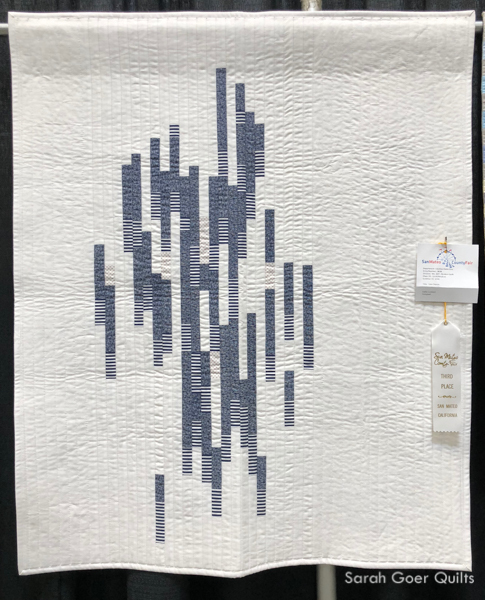 Joelle Lambert's Line Dance won third place in Small/Medium Modern Quilts. 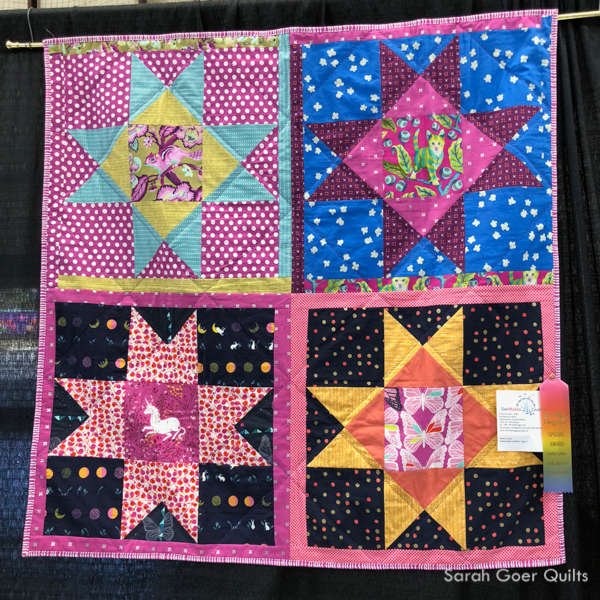 I love this quilt that Joelle made for the Spring 2018 MQG Riley Blake Challenge. It was a treat to see it again in person. 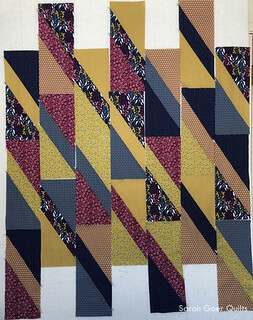 Jaye Lapachet's Planned Improv won an Honorable Mention in Large/XL Modern Quilts. 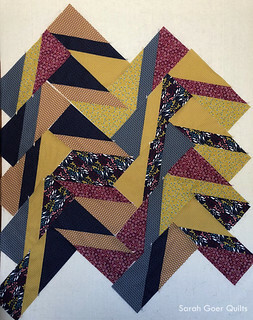 Jaye began this quilt in my Planned Improv: Scrappy Squares workshop last Fall. I love Jaye's color choice for this project. 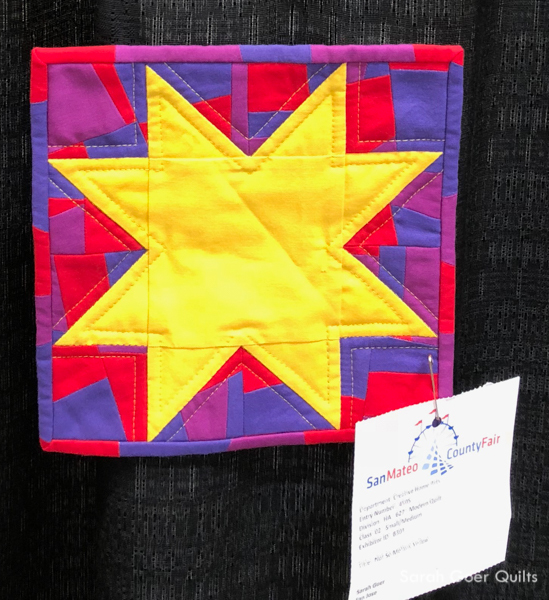 After viewing the quilts the kids and I enjoyed the afternoon at the fair, with tasty food, the magician show, the acrobat show, pig races, and the kids science zone! Posted in Quilting. 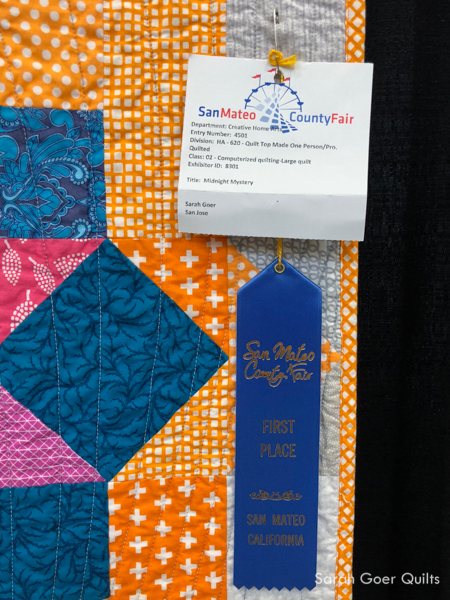 Tags: quilt show, San Mateo County Fair on June 22, 2018 by sarah.